General Motors is taking a flock of new Chevrolet-branded crate engines to the 2018 SEMA Show in Las Vegas next month, packed under the hoods of a few very-cool vintage Chevrolet automobiles. The undisputed coolest of them all can be seen above: a 1973 Chevrolet Chevelle Laguna with the bowtie brand’s supercharged, 6.2-liter LT5 V8 engine. Now, we know what you’re probably thinking: Dropping a 755-horsepower V8 into a car the Chevelle’s age sounds like a recipe for instant loss of control. You might be right about that, but at the very least, it’d be one heck of a ride leading up to your inevitable crash. And lest you go thinking that Chevrolet is entirely reckless, the 1973 Chevrolet Chevelle Laguna SEMA build has been fitted with a modified suspension to help it cope with the LT5’s superfluous levels of thrust, although the details of that suspension are currently unknown. The car also rolls on a non-original set of deep, 18-inch wheels, providing far more of a contact patch at each corner to help maintain a grip on the driving surface. Along with its 755 horsepower, Chevrolet’s supercharged LT5 V8 produces as much as 715 lb-ft at its peak, helping launch the all-new, 2019 Chevrolet Corvette ZR1 to 60 mph in about three seconds. 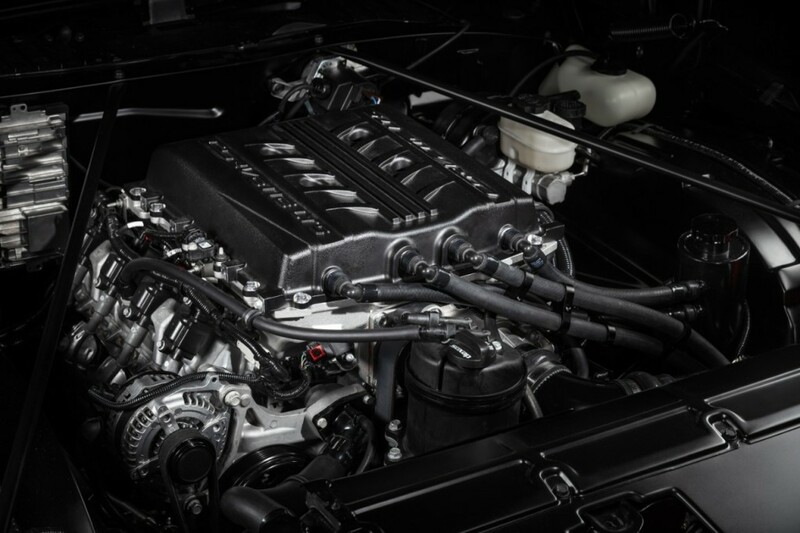 The engine is a bolstered version of the 650-horsepower LT4 that debuted in the 2015 Chevrolet Corvette Z06, with a bigger blower, bigger throttle body, stronger crankshaft, and reworked fuel-injection. The LT5’s advanced features stand in contrast with the old-school, analog Chevrolet Chevelle Laguna. Introduced for 1973, the Chevelle Laguna was the top-tier model range in the midsize Chevelle car lineup, based on the same A-Body platform as the Pontiac Tempest, Oldsmobile Cutlass, and Buick Skylark of the time. It made a name for itself in motorsport when Cale Yarborough drove a Chevrolet Chevelle Laguna to the first two of his three consecutive Winston Cup trophies, in 1976 and ’77. Chevrolet’s LT5-powered 173 Chevrolet Chevelle Laguna will appear at SEMA 2018 alongside a 1967 C/10 pickup with Chevy’s all-new, 5.7-liter ZZ6 under the hood, and a 1978 Silverado powered by a 6.0-liter L96 V8 crate engine. For more great Chevrolet SEMA news, stay tuned. Next story Do These Trademark Filings For ‘FNR’ Indicate A Future Chevrolet? Get a kick out of Chevy reviving old cars with great new engines. Why is there nothing in their current line-up like this? I don’t know anyone who considers the 73-77 cars real Chevelle’s. They may have carried the nameplate but something was just wrong about them. It seems the guys who like the 64-72 Chevelle’s actually prefer the 78-80’s Malibu’s that don’t even carry the Chevelle nameplate over the 73-77’s. Apparently GM feels they are real Chevelles. Also Baldwin Motion considered them a real Chevelle. (see Baldwin Motion 427 Chevelle that sold recently for 175,000). Those real Chevelles from 73-77 also won several Winston Cup championships. All cars that debuted in 73 and 74 underwent facelifts and engine changes due to the fuel crisis and NHTSA regulations, so yes they are different. But 45 years later, with a few modifications, they make excellent hot rods.